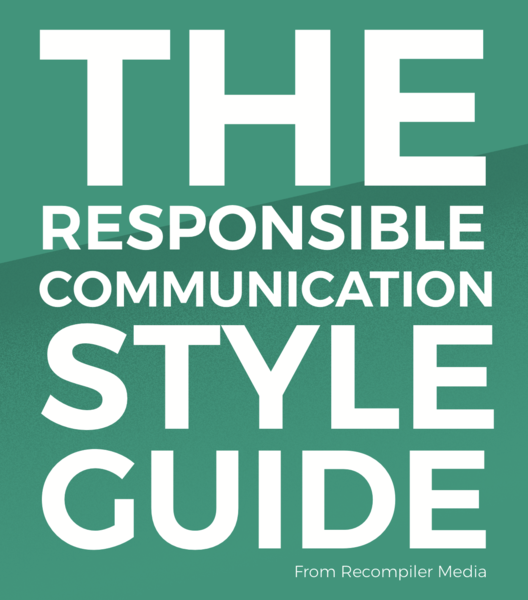 The Responsible Communication Style Guide – The tools, techniques, and terminology you need to write inclusively. The tools, techniques, and terminology you need to write inclusively. The words we use to talk about different situations, companies, and people have a huge impact on what we think. While style guides like the Associated Press Stylebook are used in newsrooms and public relations offices alike, they don’t cover identity well — if they mention topics like gender or race at all, they just touch on the surface. Identity is a crucial topic for anyone writing today to get right, especially in fields like technology, where we need to talk about our users and audience in a way they find inclusive and understanding. We also show how this approach fits into the work The Recompiler does, and how we can write about technology in the most welcoming and accessible way.